A couple of posts ago I made reference to the Topps Scout of the Month Award, as shown in a Baseball Achievements Award program. 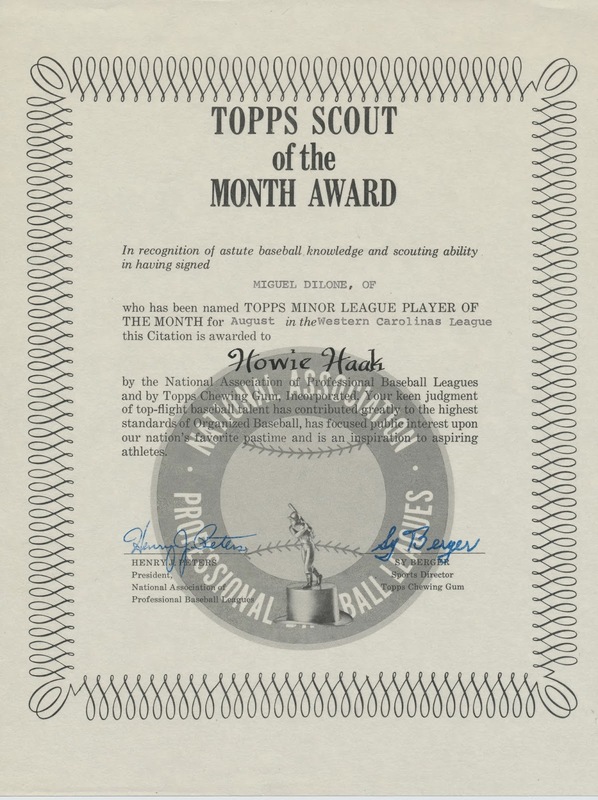 I had actually heard of this award prior to seeing that program but only for a couple of weeks as I saw three of them pop up on eBay, one each from 1973, '74 and '75, all issued to Howie Haak who was a legendary scout who primarily worked Latin America. I bought one, the other two should still be out there if anyone is interested. As you can see, the award was presented to the signing scout when a player was named Minor League Player of the Month in their respective league. So Dilone won it at least twice, explaining the multiple awards given to Haak bearing Miguel's name. The award is "signed" by Henry Peters (President of the National Association) and, in a nice surprise as I could not make it out in the auction listing, Sy Berger of Topps. Sy's byline is no surprise given his deep involvement with the various award programs sponsored by Topps. 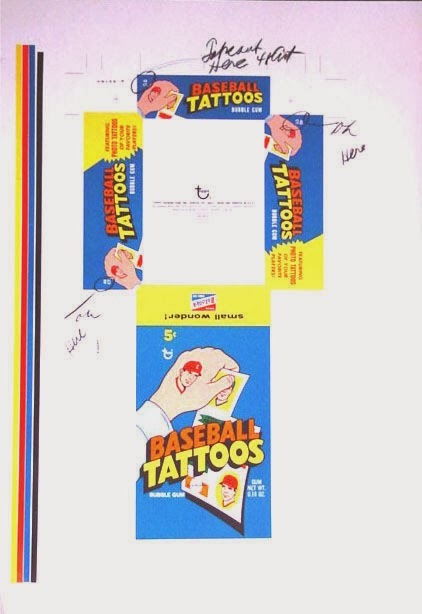 It may seem strange to some but Topps invested time and money in these programs, which helped maintain strategic ties to supply their baseball player contract pipeline. I don't believe they were this involved with other sports, although in the case of the AFL and NFL they may have offered more behind the scenes support such as supporting varoius charitable organizations favored by the leagues. The award as issued is unembossed, although it being 1973 the "deets" had to be typed and inked in as needed. 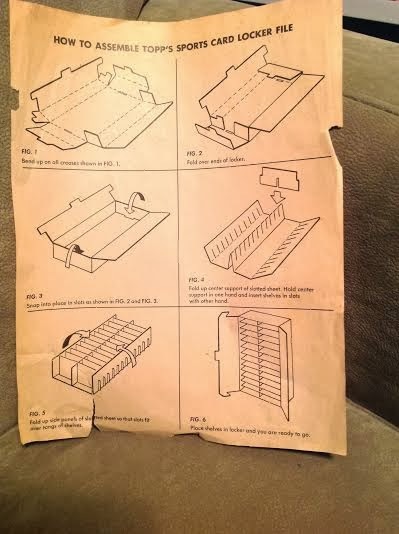 This is how things were done in the pre-internet days kiddos! With a number of leagues and levels, there should be a few dozen of these issued each year. The famous Topps rookie award trophy also makes an appearance in the graphics. The All Star Rookie Awards are still given out by Topps every year; there's a bunch of great detail over at Baseball-Reference.com. If they issue the awards this year that will make 55 years in a row (54 for Player of the Year) for Topps-wow! 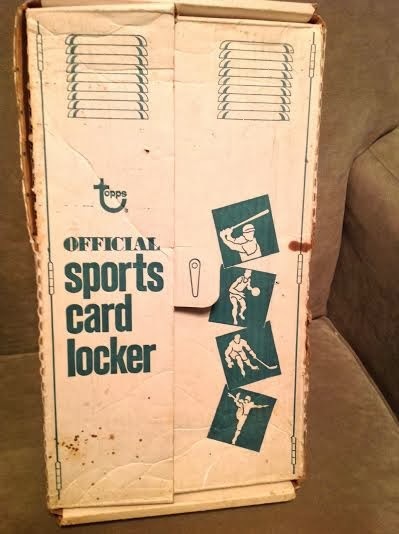 Over the years, Topps offered a few versions of a sports card locker premium to the young 'uns, particularly in the hazy, crazy 1970's. Friend o'the Archive Mark Hoyle has helpfully sent along a brace of pictures that show off different varieties of this early collector's organizing system. 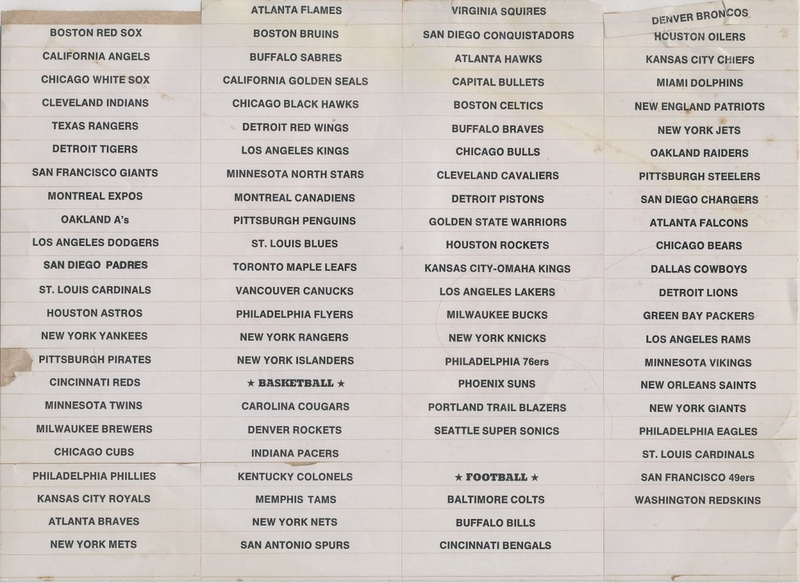 Notice how the baseball version mentions room for 24 teams while the Football panel makes it 26. I don't have an interior shot but there must be 26 cubbies within.Two bucks was pretty good scratch back then for a young collector. 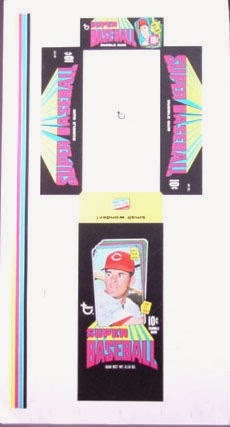 Topps really pushed the envelope with a $4.75 premium-yikes! 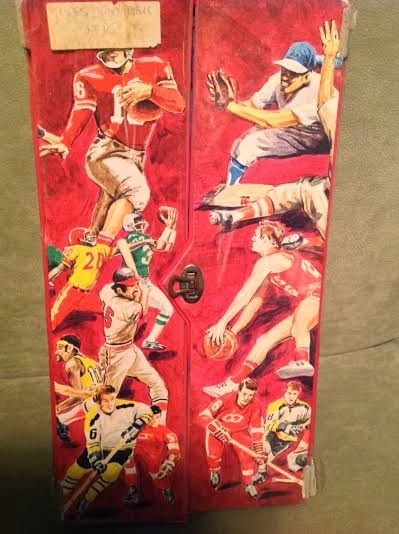 That one actually had the team names permanently embossed inside if I recall correctly. There was a green version as well. Definitely not Topps as it was made by Lakeside Toys, but full of cards when I was a wee one. Lakeside made all sorts of cool things back in the day and while not quite the exciting, carefree and semi-dangerous products produced by Wham-o, they were awesome nonetheless. 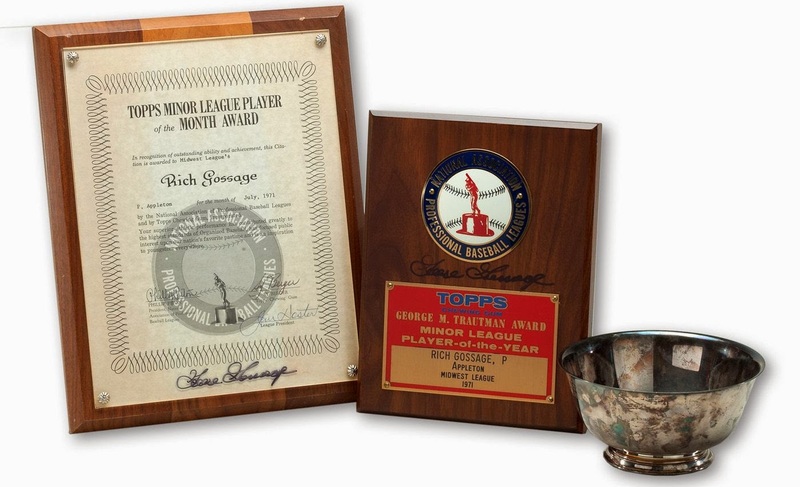 One of the weirder mysteries surrounding Topps involves the Rookie Banquet Award Programs that they issued annually from 1959-66. Topps took their affiliation with major and minor league baseball very seriously and the rookie award winners were honored with special cards in the following year's sets (the banquet was held late in the calendar year, after baseball season had ended). The banquet programs are prized collectibles and deservedly so as they are well designed, scarce and usually depict a large number of hall of famers. They must have been expensive to produce and their end may have been due to Topps making increased royalty payments to the Major League Baseball Players Association commencing in 1966. So what happened? I suspect the banquet as hosted by Topps may have disappeared but the awards did not. 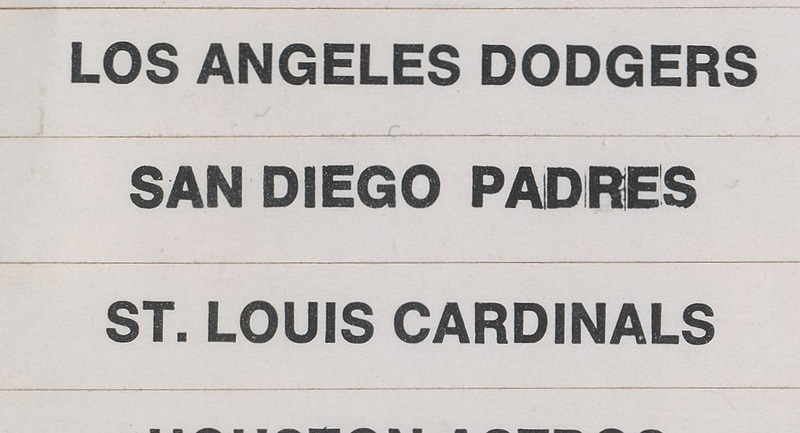 I am still tracking what happened from 1967 through 1980 or maybe a little earlier but Topps made programs for something called the Baseball Achievement Awards from 1981 until at least 2000. Those dates should not be taken as gospel as I am still researching the matter but the trail really picks up in '81 and the latest one I have spied so far is from 2000. That blue box in the middle is interesting-it covers the Scout of the Month Award, something I will delve into very soon. It's amazing how many guys look like worldbeaters and might have a few good years but ultimately fade out. If anyone has information or scans from the 1967-80 period, please contact me. 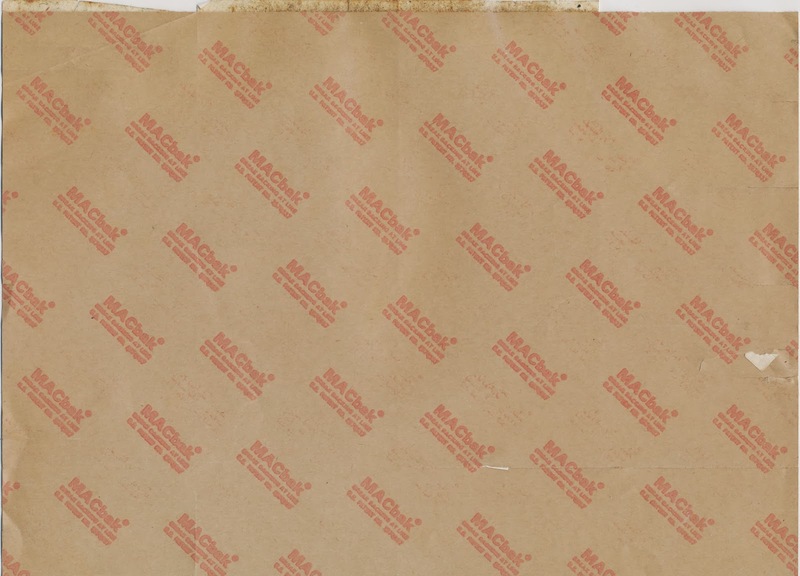 One of the great things to happen to the research side of the hobby in the last 20 years has been the auctioning of a large number of production proofs and other materials. Final color proofs are very useful in determining dates of issue as production indicia is often present and in the case of Topps it usually appears on what was to be the box bottom. 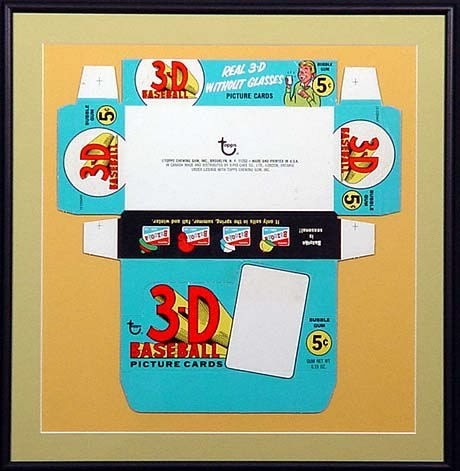 Unlike the 3-D box, this 1971 Super Baseball card is a graphic (hello Pete!). Funny Pete Rose story-at last year's National a bunch of us were headed off to dinner at Bob Chinn's, a Chicago food landmark of epic portions and we ran into Pete and friends in the lobby of our hotel. We had about eight guys ready to go, most of us a bit, ah, stocky shall we say and one of our number shouted out "Hey Pete, we're going to Bob Chinn's for dinner, want to join us?!" Pete took one look at out motley crew and deadpanned "From the looks of you guys there won't be any food left for me." Cracked up the whole lobby. This one has some corrections noted and I daresay is more colorful than the actual set.